Why we need a great video to audio converter? When we edit the videos, we often need to abstract the audios from the videos, to save or share them. 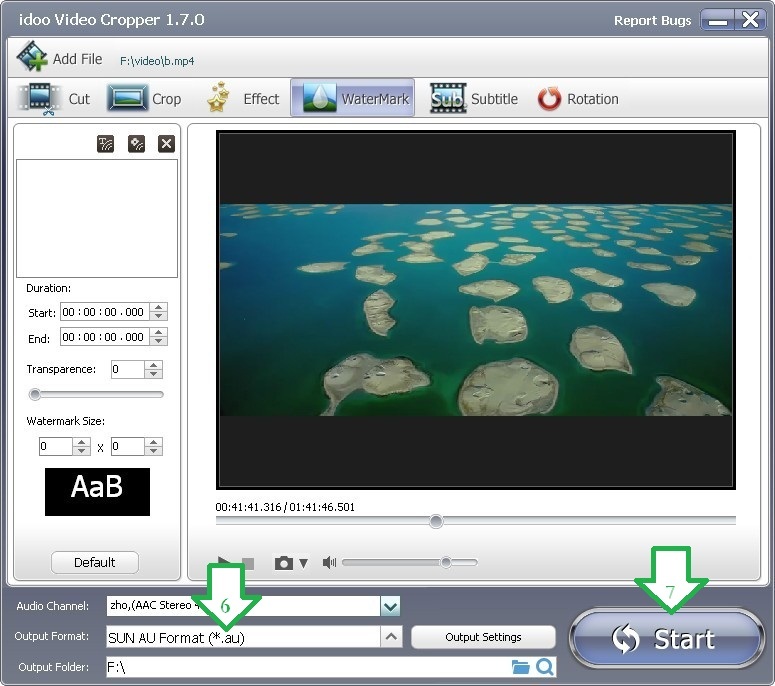 So we are calling for an easy-to-use video to audio converter. By idoo Video Editor, you can abstract the background music from your video or movie. Meanwhile, it has more advanced functions than those free video to audio converters and online video to audio converters, and the audio quality, sample rate or audio channel can be set before outputting, and of course the audios can be also easily edited by it. How to converter video to audio by idooVideoEditor? 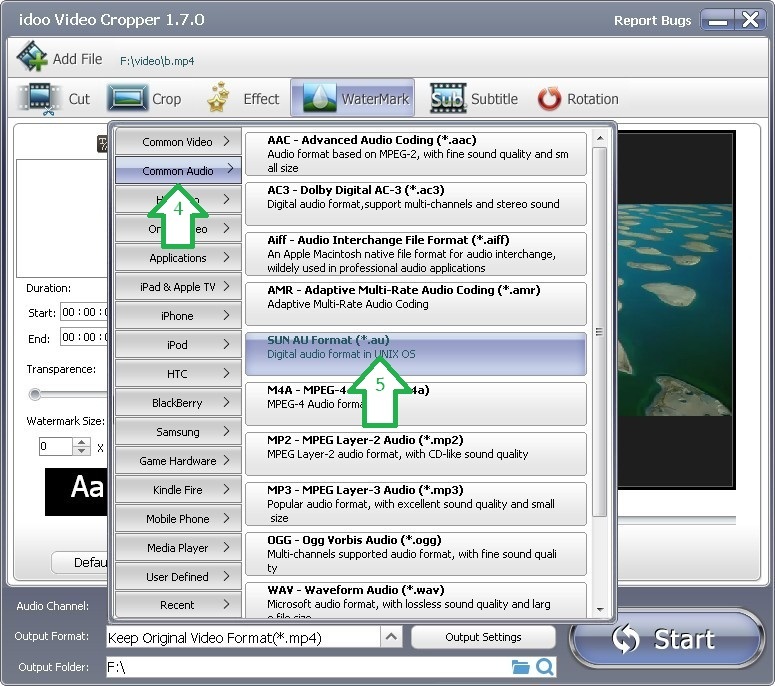 You can free download video to audio converter here and have a try after installing it. In any sub-function, just add the video to edit, and set the output format, then you can easily convert video to audio. Moreover, idoo Video Editor can add audio to video too. This is also an ideal audio to video converter. The following part will illustrate the great function of this video to audio converter. The Guide of Converter Video to Audio. 2. The information of original audio can be seen in “Audio Channel” (Arrow2). 3. Click the drag-down list of “Output Format” (Arrow3). 3. Choose “Common Audio” (Arrow4) in the drag-down list, and you may see the detailed list on the right. 4. Select your target audio format from the list (Arrow5). 3. The output format selected will be showed in the box (Arrow6). 4. Click “Start” (Arrow7) to begin converting.